The overall purpose of education is to help individual learners achieve their potential in intellectual, physical, emotional, social, cultural, ethical and moral development. At Lasalle Secondary School, we strive to help young people navigate the dimensions of living and learning, and are proud to boast one of the most diverse academic programs in our community. We offer courses that provide opportunities for students in all pathways and speak to individual student interests. We believe, and encourage students to participate in co-curricular, athletic, social and cultural pursuits. Students learn valuable communication, time management, team building, and leadership skills, and come to a better understanding of themselves and of others. This is demonstrated and modeled through our commitment and partnership with Finlandia Village. The partnership helps youth to understand the role they play in working with, and for the seniors in our community. Students engage in fundraising, classroom projects, community service hours and co-operative education opportunities. Most importantly, students develop the knowledge, understanding and pursuit of lifelong mental and physical well-being for all seniors at Finlandia Village. 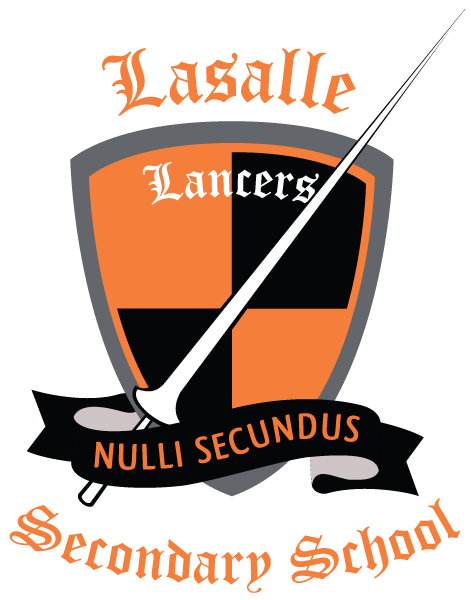 In 2018, Lasalle became a Advanced Placement (AP) designated school. Currently, we offer Advanced Placement courses in calculus, English literature, and psychology, with hopes to add French, biology, chemistry and physics in the near future. Students who achieve a Level 4 or 5 on their AP exams, may be granted a first-year university credit in that particular subject. Lasalle is committed to advancing students’ knowledge and understanding of global competencies in the technology field. In addition to Chromebooks, iPads and many desktop computers, we also have state-of-the-art classrooms to engage students in technology-based courses, including animation, digital photography, drafting, engineering, film studies, and robotics. Our robust Music, Arts and Drama department offers exceptional programming for students. Our school bands have garnered gold and silver medals at various city and provincial competitions. To increase musical choices available to students, we are thrilled to welcome back vocal and ensemble classes. Our Math and Science departments have participated in and won many first place victories, including the University of Waterloo and Algoma Mathematics Competition. Through the years, many students have garnered a number of gold, silver and bronze awards at the Math, Science and Technology Science Olympics and Science Fair competitions. Our poets and literary scholars speak well for our English department. Our French Immersion and modern languages students enjoy many cultural experiences from the community, including field trips which add to their appreciation and understanding of diverse ethnicities. Significantly, our French Immersion students have the opportunity to participate in the DELF (Diplôme d’Etudes en Langue Française), an official qualification awarded by the French Ministry of Education to certify the competency of French language candidates from outside France. Students engage in writing an examination. If successful, this certificate of accomplishment is valid for life. In social sciences, students learn history, geography, law, human growth and development, sociology and psychology. Students also take part in field trips, both locally and internationally, which aids in their understanding of world issues and citizenship. 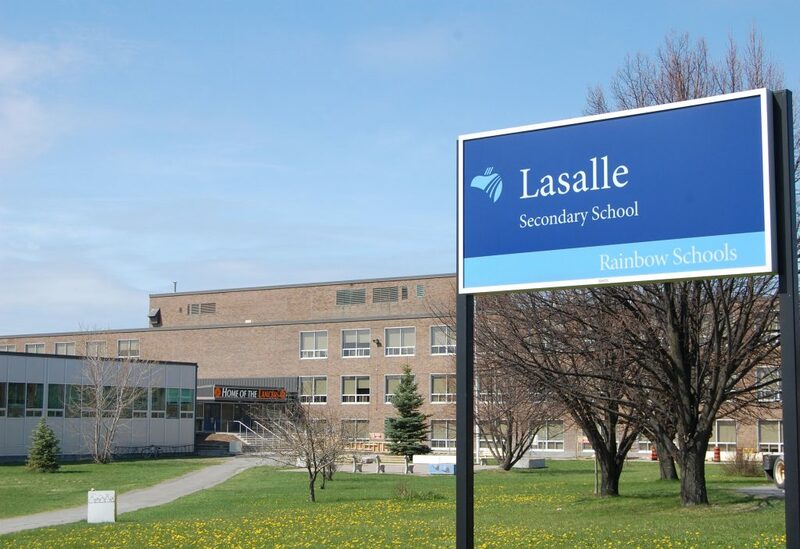 At Lasalle, we offer the largest outdoor education program within Rainbow District School Board, and will soon welcome a sports dome to our grounds (expected in November 2019). This will provide indoor sports and fitness year-round, including physical education classes, team practices and sports administration and co-operative education opportunities. During the evenings, local groups are able to enjoy the dome. This was made possible due to the hard work of the Fabio Belli Foundation in partnership with the Rainbow District School Board in bringing this vision to reality. Our technological program is second to none, and gives students access to industry-standard training and learning opportunities in drafting, machine shop, transportation, welding and woodworking. At Lasalle, co-operative education and Ontario Youth Apprenticeship Program programs are extensive, due to the high level of commitment from staff, and the generous support of our community members. Our special education program offers individualized instruction and support for students who have identified learning difficulties. Resource staff are well-equipped with high-end technology and specialized software to help support students with special learning needs. Our Students Services department is open to all students seeking assistance in education, career, and personal counseling. Advice and information are available to students and to parents regarding the courses best-suited to the needs, interests, abilities, and career goals of each student. The Specialist High Skills Major program is a specialized, Ministry of Education approved program that allows students to focus their learning on a specific economic sector while meeting the requirements of the Ontario Secondary School Diploma (OSSD). SHSMs assist students in their transition from secondary school to apprenticeship training, college, university or the workplace. SHSM students at Lasalle are given the opportunity to customize their secondary school experience, and build on their strengths and interests with a variety of new and enhanced learning options. Students are guided to achieve continued growth by integrating real world experience through several challenges, competitions, and a placement experience in Co-operative Education. The Sport and Healthy, Active Living Program is designed for motivated students with a keen interest in pursuing their participation in, and understanding of leadership, sports, health and business. Student athletes will further their academic success by pursuing sport specific courses with a focus on fitness, healthy active living, leadership and business. The program focuses on three strands – lite Athlete Development, Healthy Active Living and Sports Administration. 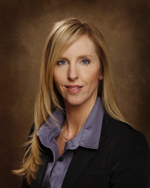 The program includes accommodations for elite athletes.